Apparently dissatisfied with only launching the latest line of iPhones and a new operating system this month, Apple has gone and outdone itself by filing a patent application for a retail shopping paper bag made mostly out of recycled paper. This project, titled ‘bag’ is likely to change the way the electronics industry functions — permanently and irreversibly, according to what a scientist told us over the course of a brief presentation made on a laptop still running Windows XP. While the ‘recycled’ part of the bag’s makeup has received most attention, the scientist — who was apparently in possession of a set of top secret schematics — pulled up a crudely-constructed model of the crystal structure of the material that will be used to manufacture this bag. The perfect crystal structure will apparently allow the bag to maintain its shape and the bite marks in the coincidentally apple-shaped particles will allow the material to breathe. 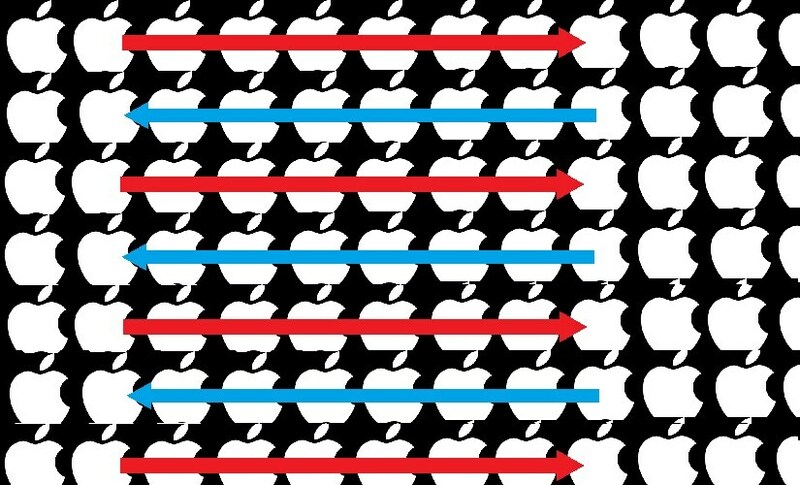 Alternate layers of particles — layers that are linked by strong forces, keeping the bag’s shape when in the presence of an Apple device — apparently move in opposite directions when a competitor’s product is placed in the bag. At first, this provides a great deal of elasticity, which is great. And as the material gets thinner and thinner, the bag rips, much to the detriment of your non-Apple gizmo. Remember Batman’s electromagnetic memory cloth cape in Batman Begins? Well, this is nothing like that. And just when we thought that was the big revelation and that the presentation would wind up, the scientist embarked on an extended analysis of the molecular structure of these particles. We thanked him for his time and asked for the slide, stating that we would decode it ourselves. We couldn’t be bothered, so we’ll leave that upto you.